The External Drainage System is indicated for the reduction and temporary control of intracranial pressure (ICP) through the drainage of cerebrospinal fluid (CSF) from lumbar subarachnoid spaces into an external collector bag when the an internal derivation implant is not indicated. 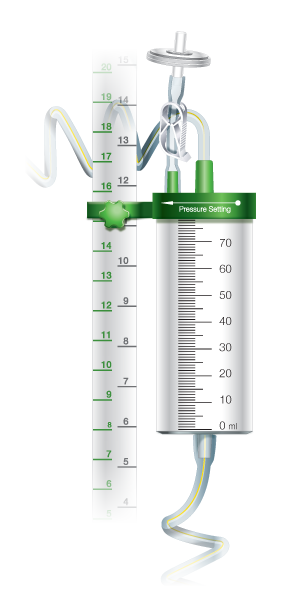 Pressure scale in mmHg and cmH2O, mobile graded burette for more prercise control on the dreinaje volume. Hydrophobic antimicrobial resistant to wetting, preventing interruption of the drainage by place temporarlly filter blockage. Accompanies clamp to be closed when it is necessary to position the system horizontally temporarily. With 700ml and graduated each 50mL. 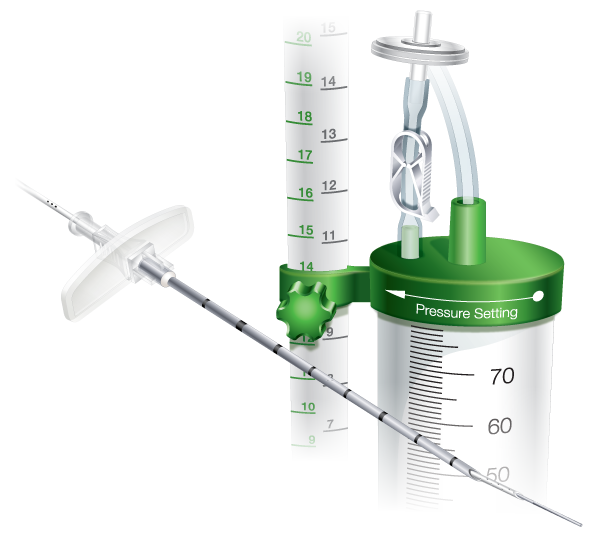 Mobile burette with 75ml for precise calculation of the dreinage volume. Clamp to avoid wetting the filter while positioning the system horizontally. 14G tuohoy needle in stainless steel with markings every 1cm for depth precision. Flexible wire guide to facilitate catheter introduction. 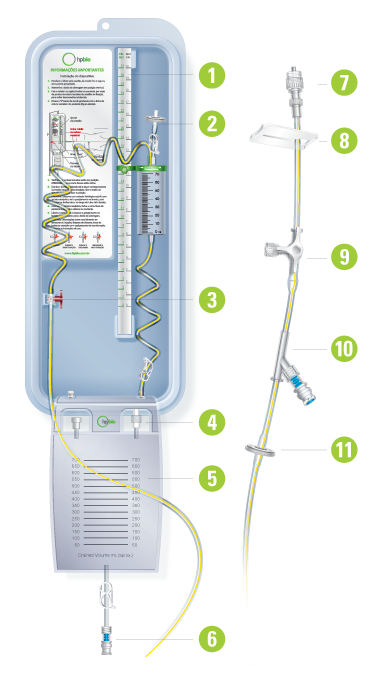 Lumbar catheter with 1.6mm outer diameter with 400mm in length, drainage bag with 700ml and 70ml burette.